Gogogate2 – This app-connected garage door controller is a great gift for the project-loving mom. The set-up does take a little bit of time, but once it is installed and running it is a gift that keeps on giving. As simple as a push of a button, Mom gains extensive control over the garage door(s), which includes voice command, camera integrations and other customizable functions. Nest Hello – Mom will get a kick out of this smart doorbell camera. 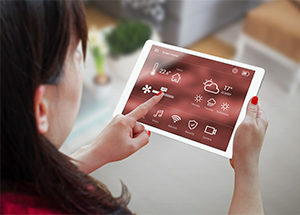 It has an optional facial recognition feature that can connect with Alexa or Google Assistant to show up on any supporting screen via voice command in her smart home. MyWirelessTV 3 – Mom can enjoy 4K content anywhere in her home with this wireless HD Connection Kit. MyWirelessTV 3 replaces HDMI cables with convenient wireless HD for a modern home theater setup. It connects HDTVs to most HDMI cable/satellite set-top boxes, Blu-ray players. MoCA Network Adapter Kit – If mom’s gaming console lags due to poor WiFi, or her HDTV is buffering, this kit is for her. It uses her existing coax cable wiring for an instant Wi-Fi performance boost. This wired pipe will get her less congestion, reliable connections and speeds up to 1 Gbps. .